The incident happened near Juharkhand's Bajartand village in Ramgarh district in June last year. 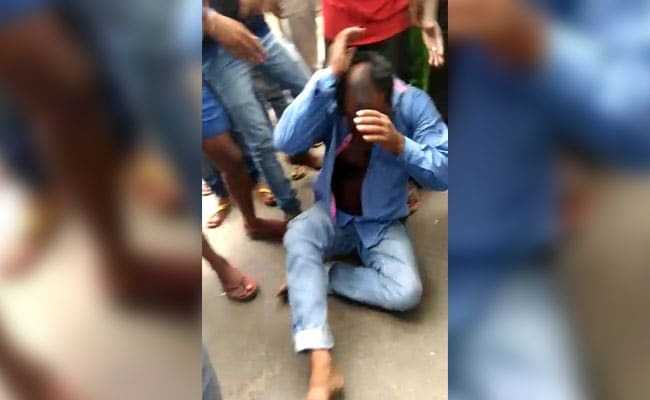 Ranchi: Eleven people have been convicted by a trial court in Jharkhand over the killing of a man by self-styled cow vigilantes last year. The man was beaten death and his car set on fire on suspicion of carrying beef. Alimuddin, also known as Asgar Ansari, was driving his Maruti van when he was stopped and brutally attacked by a group of people near Bajartand village in Ramgarh district in June last year. Police had then said they "swung into action" as soon as they heard about the attack and rescued Mr Ansari but he died in hospital. The attack happened hours after Prime Minister Narendra Modi said that the killing of people by cow vigilantes was unacceptable. "Killing people in the name of Gau Bhakti is not acceptable," PM Modi had said, adding that "no person in this nation has the right to take the law in his or her own hands in this country." "No one spoke about protecting cows more than Mahatma Gandhi and Acharya Vinoba Bhave...this (violence) is not something Mahatma Gandhi would approve of," the Prime Minister had said. The Jharkhand police had called Mr Ansari's murder "premeditated". Additional Director General of Police RK Malik had said the attackers seemed to have been waiting for Mr Ansari, who was "involved in some trading or business of meat." Sentencing in the case will take place on March 20.